Colloidal Silver Secrets: Can Colloidal Silver Be Mixed With Other Substances? Can Colloidal Silver Be Mixed With Other Substances? …natural health and beauty care products including homemade deodorant spray and homemade mouthwash…a homemade antimicrobial gel for stubborn boils and other topical infections…homemade antimicrobial soap…and much more! For example, people use vinegar and colloidal silver together as a very effective fruit and vegetable wash and disinfectant. To learn how it’s done, read my article A Simple, Effective Colloidal Silver Fruit and Vegetable Wash at this link. Colloidal silver can also be used with apple cider vinegar as an effective athlete's foot cure. For more specifics, see my article Colloidal Silver for Athlete’s Foot and Other Topical Fungal Infections at this link. Colloidal silver can also be used with a variety of essential oils and other substances to make natural health and beauty care products, including a minty homemade mouthwash, a refreshing homemade aftershave, or even a homemade deodorant spray. Learn more by reading Angela Kaelin’s great article, Make Your Own Natural Health and Beauty Products Using Colloidal Silver at this link. Experienced colloidal silver users also use colloidal silver in combination with antimicrobial essential oils (i.e., such as Tea Tree oil) for topical use as a "double whammy" against stubborn topical infections such as boils or even MRSA. Learn more by reading my article, An Unusual Colloidal Silver Remedy for Infected Boils in Inconvenient Places, at this link. Some people even mix colloidal silver with liquid soap in a pump dispenser to give their favorite hand-soap powerful antimicrobial qualities. See my short video, Make Your Own Colloidal Silver Gel and Colloidal Silver Soap, at this link. The general rule-of-thumb when mixing colloidal silver with other substances is to make up the combination fresh for each use whenever possible. Because when colloidal silver is mixed with other substances, over the course of time it can begin to oxidize, or even bond with other constituents of the substance you’ve mixed it with, and lose potency as a result. Sometimes, there’s not enough potency loss to make a big difference. But sometimes there is, depending upon the substance being mixed with the colloidal silver and whether or not specific constituents of that substance tend to interfere with the antimicrobial activity of the silver over time. So, for example, when mixing colloidal silver with vinegar to create a natural, disinfectant fruit and vegetable wash, you should probably consider making up a fresh mixture each time since the acidity in vinegar tends to oxidize silver more quickly than other substances would. After all, it only takes a few seconds to mix a fresh batch of your colloidal silver and vinegar wash. And you'll enjoy maximum potency and effectiveness from the silver by mixing the wash up fresh each time. If you were to use the same batch you mixed a week earlier, it might not be nearly as potent as mixing a fresh batch. But when making things like a personal natural deodorant, a natural minty mouthwash or a refreshing natural aftershave by mixing colloidal silver with other substances (see earlier link to Angela Kaelin’s article), most users agree you can go as long as one week without having to mix up a fresh batch. Some people prefer to make only three days’ worth at a time just to be sure they’re getting maximum antimicrobial potency from the silver. The bottom line, general speaking, is that the fresher-made the combination is, and the sooner it's used, the more potency and effectiveness the silver will maintain. On the other hand, when mixing colloidal silver into liquid soaps and shampoos, the silver seems to maintain its potency very well over long periods of time. Apparently, certain constituents of soap make for good carriers of silver, rather than acting as neutralizing agents. That’s why I never fail to add colloidal silver to my favorite shampoo, and to my favorite bathroom countertop liquid soap dispenser! There is some controversy over the idea that mixing colloidal silver with other substances can negate the effectiveness of the silver over time. Indeed, in many cases there appears to be very little loss of silver’s potency at all, even over long periods of time. And this appears to be borne out at least several clinical studies. For example, one study has shown that when small amounts of silver is used as a disinfectant agent in "multiple dose products" such as cosmetics or pharmaceutical preparations, the silver continues to work over time, "even in the presence of strong interfering additives." In other words, the silver particles still demonstrate antimicrobial effectiveness in spite of the presence of ingredients that should interfere with it. The high rate of kill of anodic silver is very useful to ensure a rapid reduction of microorganisms. However, the effectiveness of silver in keeping the number of surviving organisms at less than 0.01% of the starting inoculum after repeated inocula, even in the presence of strong interfering additives, appears the most interesting feature for its possible use as a preserving agent in multiple-dose products". -- Scalzo, M., et al. 1996. Antimicrobial activity of electrochemical silver ions in nonionic surfactant solutions and in model dispersions. Journal of Pharmacy and Pharmacology, 48, 60-63. So the good news is that if you make an all-natural mouthwash, for example, using colloidal silver and other natural ingredients, and you still have some left over after a week or so, it should still be good to use! Just be sure to watch for signs that the colloidal silver you’ve mixed with another substance isn’t being neutralized, oxidized or otherwise degenerated over the course of time. For example, if the solution you’ve made is turning gray, cloudy or murky looking, this is a sure sign the silver particles have lost their electrical charge and are oxidizing and falling out of suspension, or agglomerating with other constituents in the solution you’ve mixed. That’s when it’s time to mix a new, fresh batch. As I’ve mentioned previously, to insure maximum potency of the silver, most experienced colloidal silver users agree that fresh batches of such homemade natural products should be made for each individual use. The exceptions are in cases of mixing colloidal silver with liquid soaps or shampoos (in which cases silver seems to maintain potency indefinitely), some gels (such as Aloe Vera gel, in which colloidal silver seems to maintain potency indefinitely) or in making a natural mouthwash or underarm deodorant spray (in which case experienced users generally make no more than one week’s worth at a time). Just keep your eye on your homemade solutions to make sure there’s no discoloration in them that would indicate the silver particles are agglomerating or oxidizing and falling out of suspension and thereby losing their potency. Make Your Own Colloidal Silver and Save! Of course, store-bought colloidal silver can be awfully expensive. Prices average $20 to $30 for a tiny, four-ounce bottle in most health food stores. That makes it very expensive to use colloidal silver in homemade vegetable washes, foot soaks, deodorants, mouthwashes, etc., considering that you might need to use several ounces or more of colloidal silver at a time in such mixtures. That makes it unbelievably inexpensive to use colloidal silver any time you want to make a wide variety of highly beneficial, all-natural household products. For example, as mentioned last week in Jodi Todd’s guest article, Colloidal Silver: the Safe, Natural, Non-Toxic Home Disinfectant, you can even make a superb deodorizer for your carpets, drapes or other household items simply by filling a full-size plastic spray bottle with a 10 ppm solution of colloidal silver, and mixing in a few drops of Gardenia or Lavender essential oil. Spray it on carpets or drapes to disinfect them, and leave behind an intoxicating aroma. 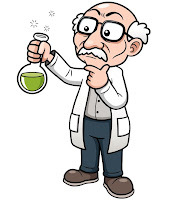 Or, as I reported in my article, 12 Most Unusual Uses for Colloidal Silver, some people make their own homemade spray starch for ironing clothing, by mixing one cup of distilled water with a tablespoon of colloidal silver and a teaspoonful of corn starch. The silver prevents the corn starch from going bad in the water. The result? Nice, crisply ironed clothing every time. And you don’t have to pay through the nose for expensive store-bought spray starches! In that same article, I pointed out that many people claim they can keep a bouquet of fresh cut flowers alive longer simply by mixing three tablespoons of sugar to the flower water, along with two tablespoons of 10 ppm colloidal silver. The sugar provides nutrients to help nourish the flowers and keep them alive longer, while the silver destroys bacteria that can invade the plant stems. Cut flowers seem to absolutely thrive in this unusual solution! As natural health writer Angela Kaelin points out in her great article, Colloidal Silver for Canning and Food Preservation, you can even mix colloidal silver into foods you plan on canning, pickling or preserving, to give them a longer shelf life by preventing bacterial contamination. Believe it or not, some people even mix a standard oral dosage of colloidal silver with equal parts of whisky, vodka or red wine when they have a viral infection. Then they squeeze some fresh lemon or lime into the mix before drinking it. As colloidal silver expert Anders Sultan explains, it’s because cold and flu viruses are lipid-coated viruses. That means they have an outer fatty coating that’s difficult for silver to penetrate, and therefore makes them difficult to kill. But by adding a tiny bit of alcohol and citrus juice to a standard oral dose of colloidal silver before drinking it, that lipid-coating around the virus can be dissolved, and as a result the silver can more easily reach the virus and kill it! You can learn more about this nifty little flu-busting trick in my article, Beating the Winter Cold and Flu Season With Colloidal Silver. The bottom line is that when you make your own high-quality colloidal silver with a brand new Micro-Particle Colloidal Silver Generator from The Silver Edge, there’s literally no limit to the beneficial uses for colloidal silver you can find. Click on the link in the above paragraph to learn more about how easy it is to make your own colloidal silver for less than 36 cents a quart.